Author Zion NefeshPosted on April 20, 2009 Categories LEVÍTICO, Torah - SpanishLeave a comment on Acharei Mot – ¿Quien y qué, es el chivo expiatorio? Author Zion NefeshPosted on April 20, 2009 Categories LEVÍTICO, Torah - SpanishLeave a comment on Behar – ¿Quien es Judío? Author Zion NefeshPosted on April 20, 2009 Categories LEVÍTICO, Torah - SpanishLeave a comment on Bechukotai – Quien es responsable del Ciclón? Author Zion NefeshPosted on April 20, 2009 Categories LEVÍTICO, Torah - SpanishLeave a comment on Tazria – Empieza teniendo el final en cuenta. 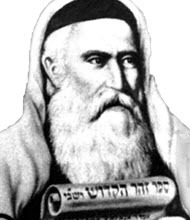 Author Zion NefeshPosted on April 20, 2009 Categories LEVÍTICO, Torah - SpanishLeave a comment on Vayikrah – El Poder de las Letras.